If you missed that big Elkhart RV Open House RV event in Elkhart, Indiana, plan to attend the 38th Annual Edmonton RV Expo and Sale at Edmonton EXPO Centre – Northlands, February 8-11, 2018. The RVDA (Recreational Vehicle Dealer Association of Alberta) represents most RV Dealers in Alberta, manages the RV Shows in the province, functions as an advocate for the industry, ensures its members adhere to the code of advertising and occasionally assists purchasers in problem resolution. Don Merkowsky, the executive vice president of RVDA in Alberta, took a few minutes to talk with RV West about the upcoming show. “There is always something new and different every year,” Merkowsky says of the show planned for February 8-11, 2018. Merkowsky said the Class C market of motorhome-vans has increased and show participants will see increased options for smaller units in the $10,000 to $30,000 range that do not require a pick-up truck to pull them—suitable for RVers who do not want to purchase a second vehicle to pull an RV. 1. See what is new from fire pits to bike carriers and floorplans to solar panels. 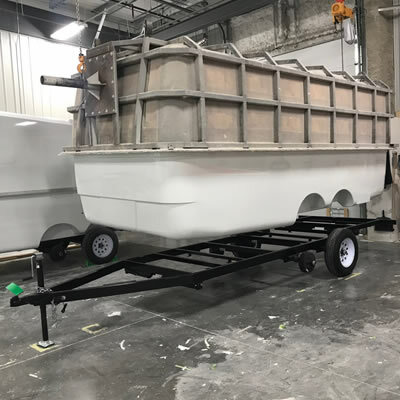 There will be more than 400 units on display. 2. Learn about your RV. Check www.rvda-alberta.org for updates on what seminars will be available at the show. 3. Take advantage of show specials. This is a selling show. And you can expect: a great selection of RV’s; delivery of your unit in time for the 2018 camping season; and no cost storage of your unit to the start of the 2018 camping season. 4. Financing and insurance available on-site. Six nights and seven days free camping from Alberta Parks. One prize in each of Northern and Southern Alberta. Win a $2,000 Safeway gift card courtesy of the Recreation Vehicle Dealers Association of Alberta. A free adult seminar registration to the RV Learning Weekend at Ol’ MacDonald’s Resort in May. 7. Meet the people who own and operate campgrounds and RV Parks. 8. Get a 25% discount off the RV Learning Weekend at Ol’ McDonald’s Resort in late May 2018. 9. Bring your technical RV questions to the Southern Alberta Institute of Technology RV Tech program instructors. 10. Regular tickets are available early December at Safeway stores for a discount. Last year, nearly 14,000 new RV units were sold in the province of Alberta, up from the previous year. This is evidence that Albertans love to camp and love their RV’s. 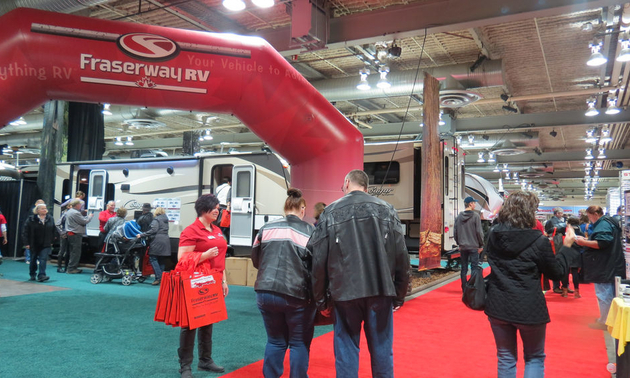 Mark the Edmonton or Calgary RV Expo on your calendar and come on out to see what’s new and dream about the season ahead. Alan and Kitrina Bryant are full-time RVers who decided to buck the trend this winter and drive north. Read how they modified their 19-foot Airstream to adjust to the snow and cold.